Marijuana will officially be legal in Canada on October 17, Prime Minister Justin Trudeau announced in a speech before the House of Commons on Wednesday. His minister of health also tweeted the news. The announcement comes one day after the Senate passed the government’s legalization bill, C-45, in a 52-29 vote, with two abstentions. After about a year of studies and debate over the legislation, the Senate ultimately accepted the amended bill, which was previously approved by the House of Commons, 205-82, on Monday. The passage represents the fulfillment of a major campaign promise from the Liberal prime minister. Trudeau has argued that the establishment of a regulated cannabis system would prevent underaged youth from accessing marijuana and also deprive criminal organizations of profits from black market sales. Trudeau held a press conference on Wednesday afternoon to discuss the legalization bill and other pieces of legislation. The prime minister confirmed the October 17 date to establish the country’s recreational marijuana system, citing the need to provide provinces with sufficient time to develop their own regulatory programs. He also fielded questions about the implications of the home grow provision, the prospect of pardoning former marijuana offenders, and the supply side of the country’s legal marijuana industry. Justice Minister Jody Wilson-Raybould cautioned Canadians to refrain from indulging in cannabis use until the law is officially implemented at a press conference on Wednesday, The Times Colonist reported. There is one final step before the marijuana legalization bill is officially sanctioned: Royal Assent. Governor General Julie Payette, a representative of the Canadian monarch, Queen Elizabeth II, must also sign off on the legislation. Victoria Deng, communication advisor for Liberal Sen. George Furey, told Marijuana Moment that the Royal Assent ceremony will take place on Thursday at 9:30am ET. There have been calls from legalization advocates and certain lawmakers to follow up on the cannabis reform bill with legislation that grants amnesty for Canadians previously convicted of marijuana offenses. But those conversations are on hold, pending the implementation of the recreational marijuana system, Liberal MP Bill Blair, the government’s point person on cannabis legalization, said. Wilson-Raybould says she has had 'conversations' with Public Safety Minister Ralph Goodale about amnesty for past marijuana crimes. Says he may have something to say about that down the road. Blair stresses no in-depth discussions can take place until past pot laws repealed. New Democratic Party (NDP) MP Don Davies attempted to get unanimous consent for a measure to “immediately provide pardons for those burdened by criminal records for cannabis offenses that will soon be legal” on Wednesday, Globe and Mail reporter Laura Stone tweeted. The motion did not receive unanimous consent, and failed. “The motion did not receive unanimous consent, and failed,” she said. How we arrived at this historic moment. It’s been a long, winding road to legalization in Canada, which is set to become the first G7 nation to fully legalize marijuana. The first reading of the bill in the House of Common took place more than a year ago, in April 2017. It’s since gone through rigorous debate, with multiple committees submitting reports that offered recommendations and outlined concerns about the legislation. One of those issues concerned international travel for Canadians who use cannabis. Conservative lawmakers said that Canadians who admitted to consuming marijuana would be at risk of being permanently barred from entering the United States, where marijuana is federally illegal. 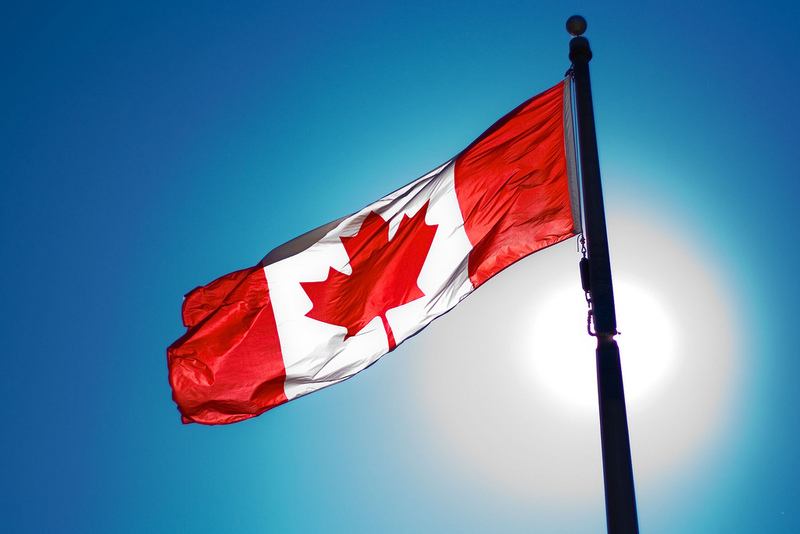 The Canadian government issued guidelines emphasizing that traveling across international borders with cannabis will remain illegal under the new law. More recently, the Senate proposed 46 amendments to the bill—including one that would allow individual provinces to ban home cultivation. The House rejected that proposal and 12 other amendments, sending it back to the Senate for a final, decisive vote. Numerous Conservative senators voiced opposition to the bill—and Conservative Sen. Claude Carignan offered up an amendment to include the home grow provision only to be shut down in a 35-45 vote, with one abstention. And with that, the bill came to a standing vote on Tuesday. Here’s what it would accomplish. The Cannabis Act legalizes the possession, use, cultivation and sale of marijuana for adults 18 and older. Individuals will be allowed to possess up to 30 grams of cannabis and grow up to four plants. The bill also outlines criminal penalties for illegal distribution and sales of cannabis, crossing international borders with cannabis and possession over the legal limit. Photo courtesy of Christopher Policarpio.